Eyal Golan, David D'Or and Subliminal to join thousands in Tel Aviv protest for soldier, day after his indictment for shooting terrorist. The military prosecutor on Monday is to submit an indictment charging the soldier who last month shot a wounded Arab terrorist in Hevron with manslaughter, but the day after Israeli music superstars will rally to his defense. In support of the soldier, a massive rally organized by his family is to be held on Tuesday at Tel Aviv's iconic Rabin Square. 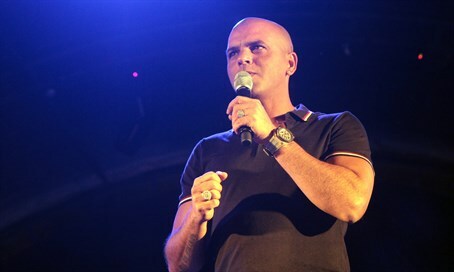 Thousands of people are to take part in the rally, and among them are leading Israeli singers Eyal Golan and David D'Or as well as rap star Kobi Shimoni, better known by his stage name Subliminal. "The soldier is like the child of the entire nation of Israel," Golan said to Channel 2. "I'm coming to support the soldier and his family." Just last Thursday the soldier's mother wrote a letter to Prime Minister Binyamin Netanyahu, asking him to intervene on her son's behalf. “I’m asking you, as the father of a soldier, if it’s right for a decorated soldier who neutralized a terrorist at the site of a terror attack because he feared he might be trying to set off a bomb after having stabbed some soldiers, and people all around are shouting ‘watch out, there’s a bomb, he’s going to set off the bomb, the terrorist is alive’ - to go to jail… for almost an entire month," she wrote. The worried mother noted the family's concerns that her son won't get a fair trial because senior IDF brass and leading politicians - including Netanyahu himself - condemned the soldier from the very start without waiting for the investigation to even begin.